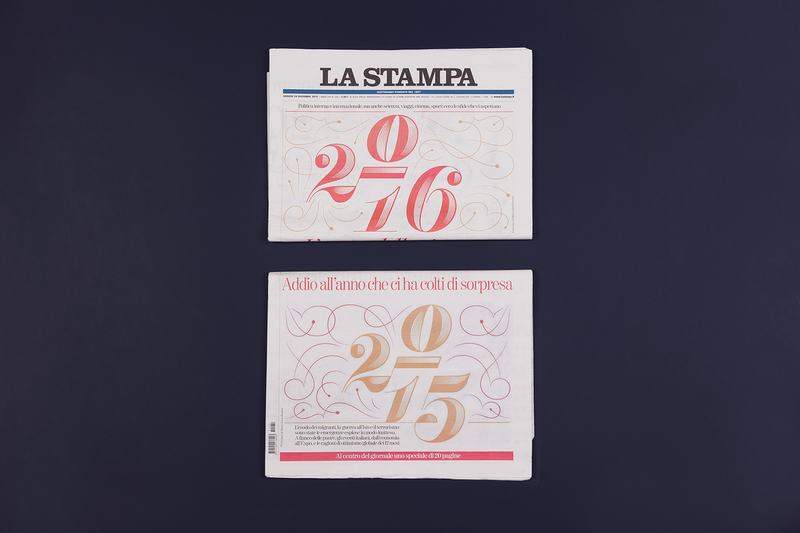 When Cinzia contacted us, she asked to play with the old year numbers and the new one approaching on the cover of the national Turin newspaper La Stampa. 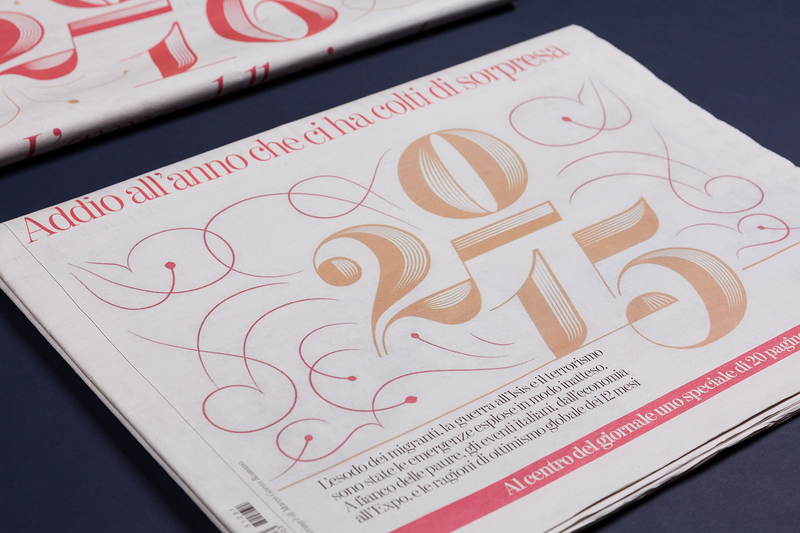 We imagine some pyrotechnics around the numbers that alternate on the last issue of 2015 and the first of 2016. Below you can see also a rejected draft without ornaments and cleaner lines.